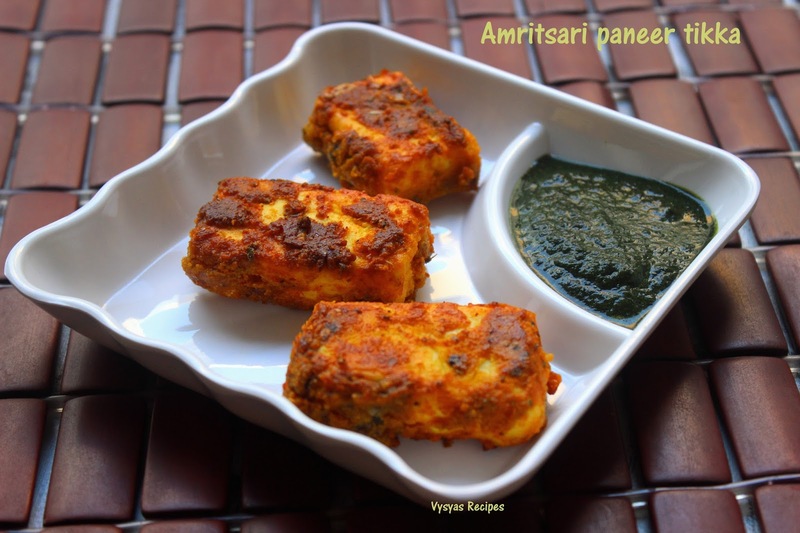 Amritsari Paneer Tikka is a Popular Punjabi Starter Recipe Comes from the City of Amritsar( City of Golden Temple).This Tikka is made with marinated Paneer in a Mixture of Gram flour,Spices & Lemon Juice, shallow fried in Tawa. 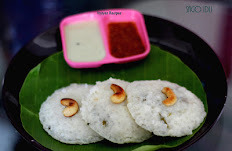 This is a Kids friendly Recipe, you can also serve in Parties. This starter can be made in 10 minutes. The taste of Amritsari Paneer is distinct from Paneer Tikka. This is an tasty,Spicy Paneer starter Recipe. 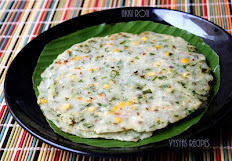 Besan flour - 3 tbsp. Crushed Kasthoori Methi Leaves - 1 tsp. Pepper Crushed - 1/4 tsp. 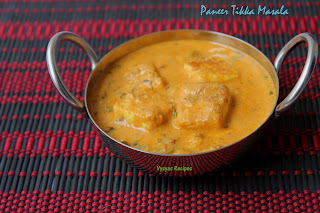 Thaw the Paneer & Cut the Paneer into cubes as shown in the picture. Crush the Ginger & Garlic Paste in Mortar & Pestle for Nice flavour. In a Mixing Bowl add Paneer,Besan flour,Crushed Ginger Garlic,Ajwain,Red chilli Powder,Garam Masala,Turmeric Powder,Kasthuri Methi,lemon juice & salt.Sprinkle little water & Mix Gently, such that Paneer Coats with Masala well. Refrigerate for 1 hour or freeze for 10 minutes. Now, heat the tawa, add 4 tsp of oil, when oil is hot, arrange Paneer, cook & fry on both sides, till marination dries up & it turns Golden & crisp. cook in Medium low flame.Don't cook for more time else Paneer turns rubbery. 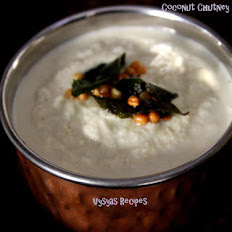 Serve it with mint or coriander chutney. if you prefer,arrange the tikka's in skewer or Picks. 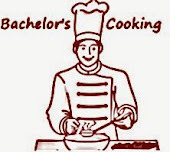 Make sure that paneer is firm to insert, else there might be a chance to break the paneer while skewering. Always cook in medium low flame. Once the Marination dries up & paneer turns Golden, remove it from tawa. if you cook for longer time Paneer turns Rubbery. it is Better to use Non stick tawa, so that marination won't stick to tawa. you can Sprinkle little chaat Masala over the Tikkis for Extra taste. This looks tempting, I love anything with paneer.